Sport enthusiast meets chic globetrotter in our beautiful steel Cecile watch. 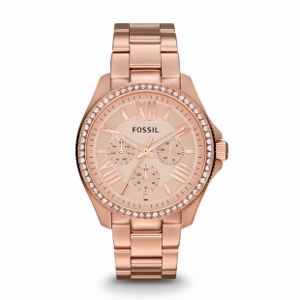 Embellished with light-catching crystals and fashioned in lovely rose, this wear-24/7 timepiece adds a glamorous accent. This Cecile watch features a multi function movement on a stainless steel bracelet.